Screws with a round head and an inner groove for a hexagonal wrench of the standard DIN 912 / ISO 4762. 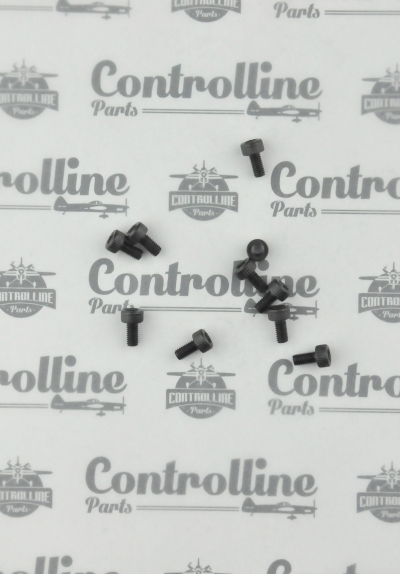 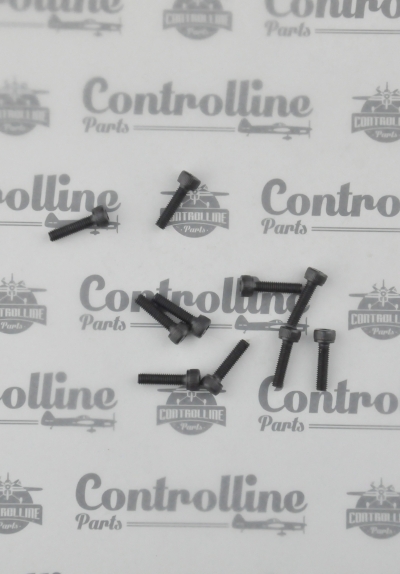 Such screws are used in air-modeling for the assembly and fixing of microengines and other parts in hard-to-reach places if there is a necessity of a reliable threaded joint. 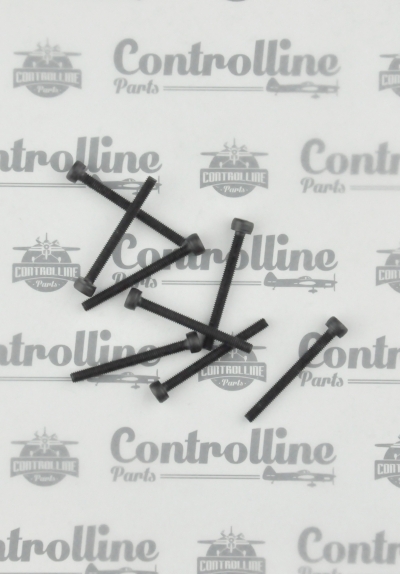 The hexagon socket screw is ideal to be used in places where it is impossible to use a wrench due to the limited space. 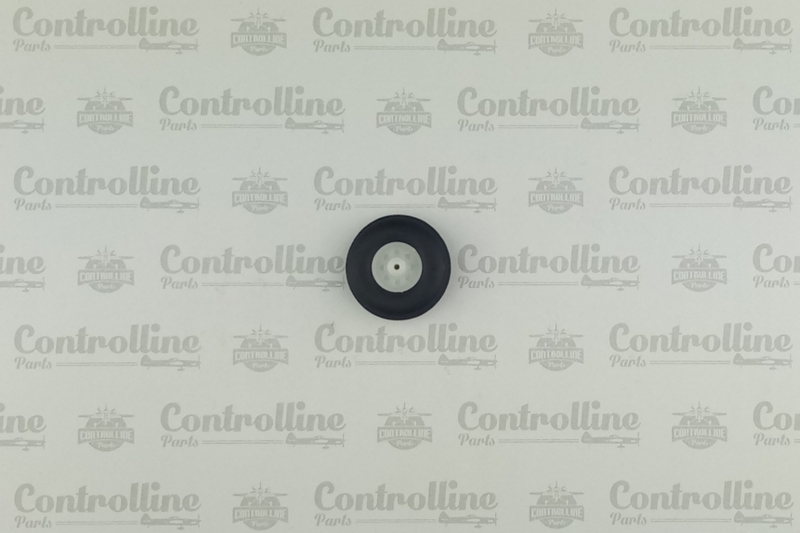 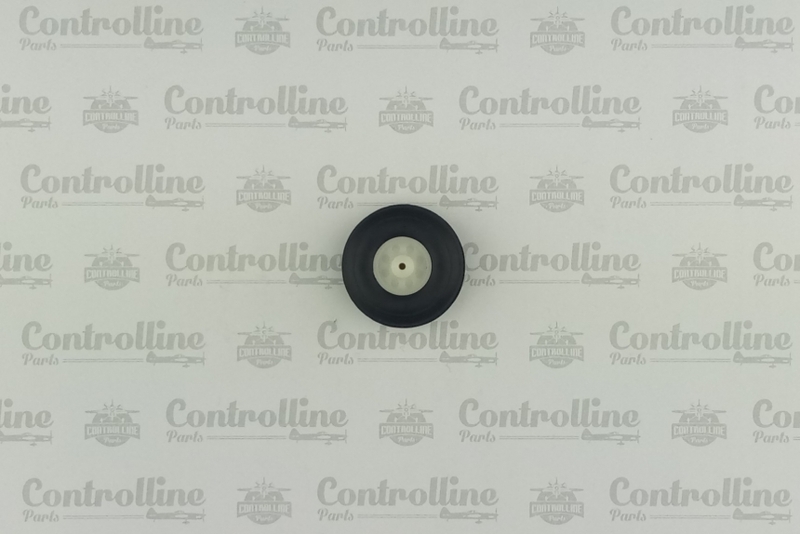 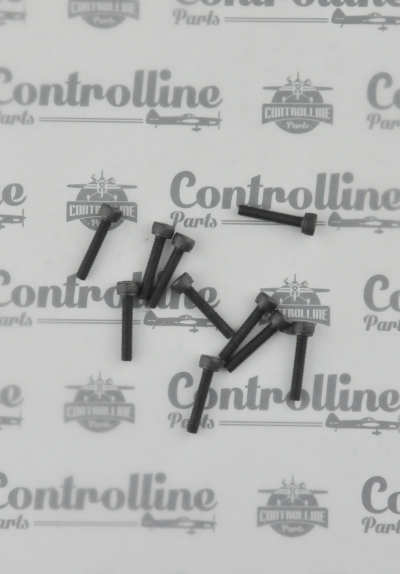 The main advantage of such screws is the shape of the slot. 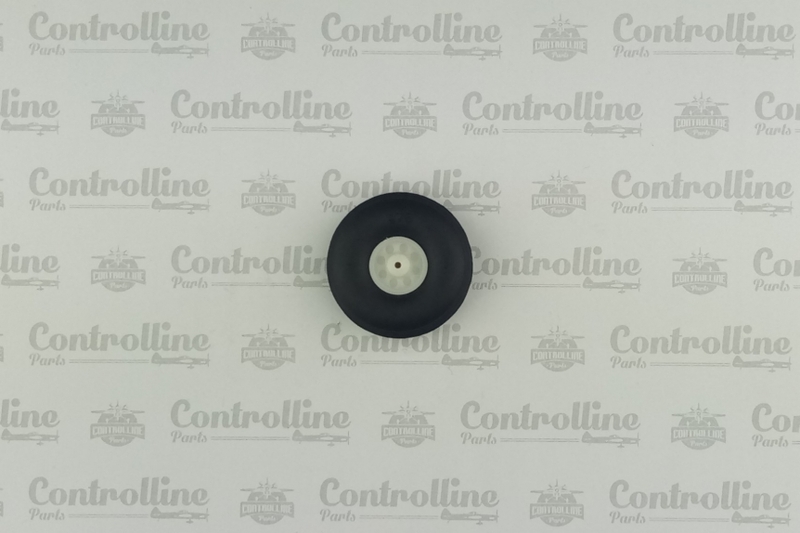 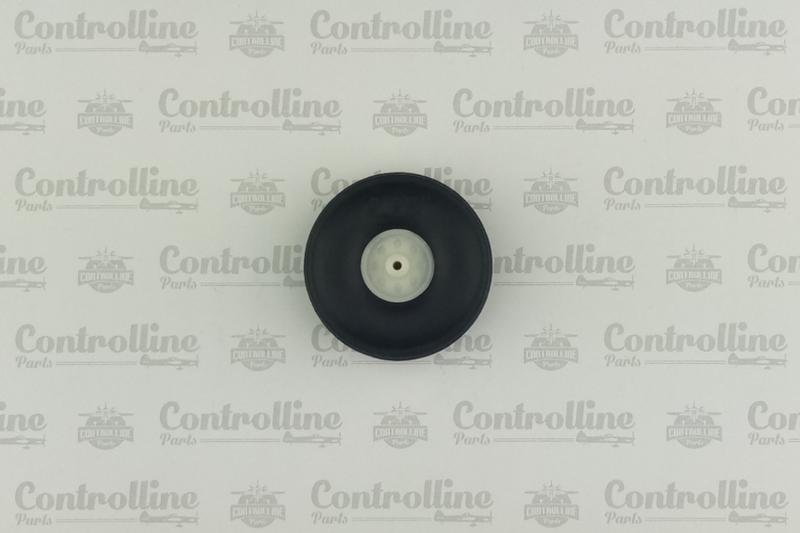 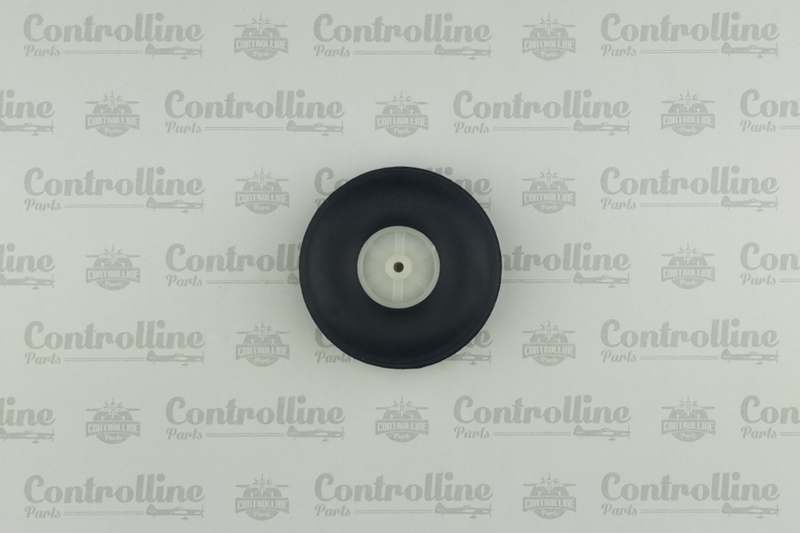 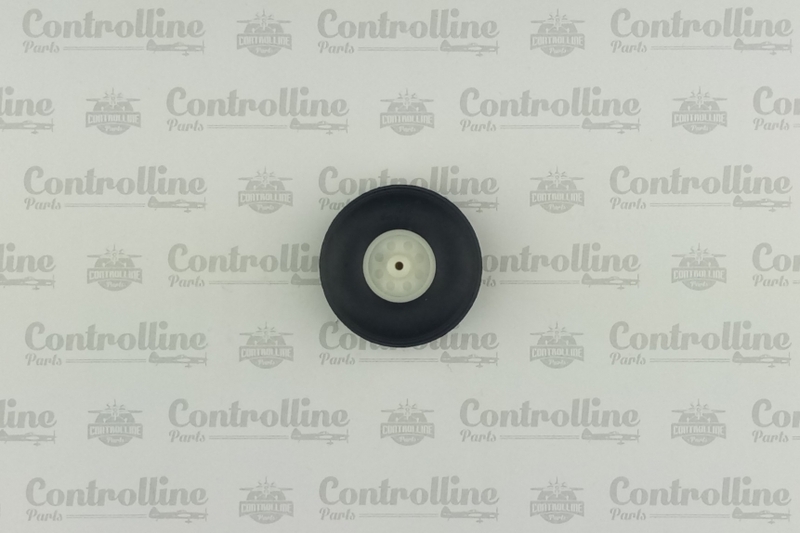 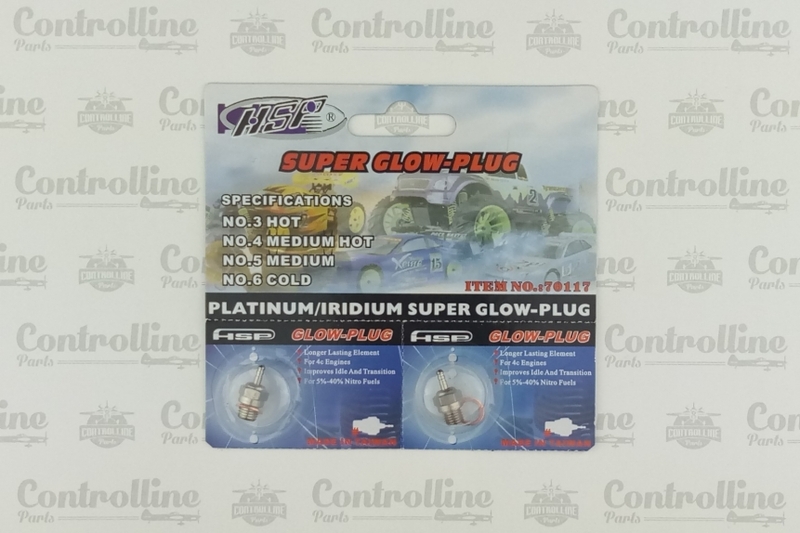 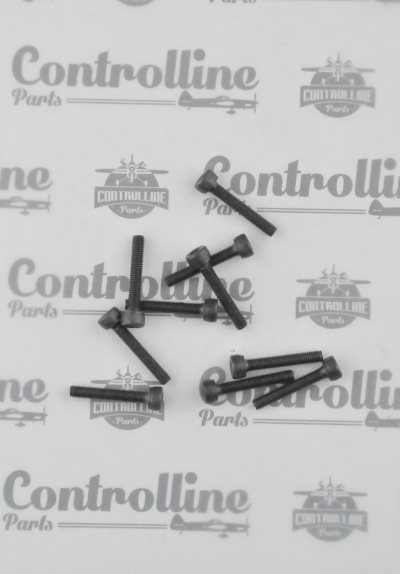 Slot - internal hexagon - has an advantage over cross and straight ones and allows you to attach to the fastener several times more torque when tightening. 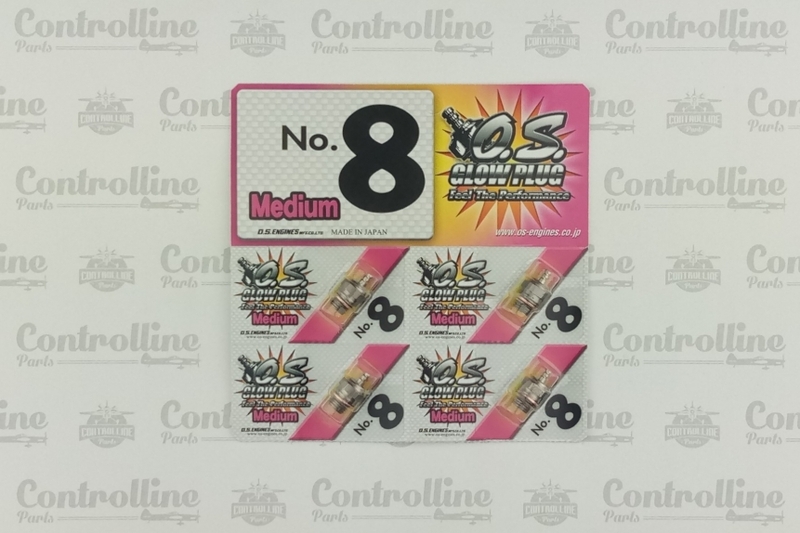 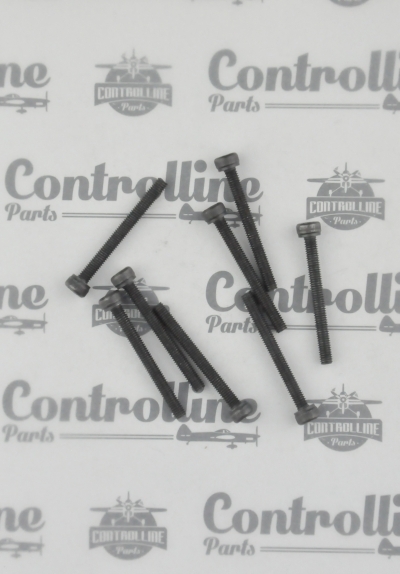 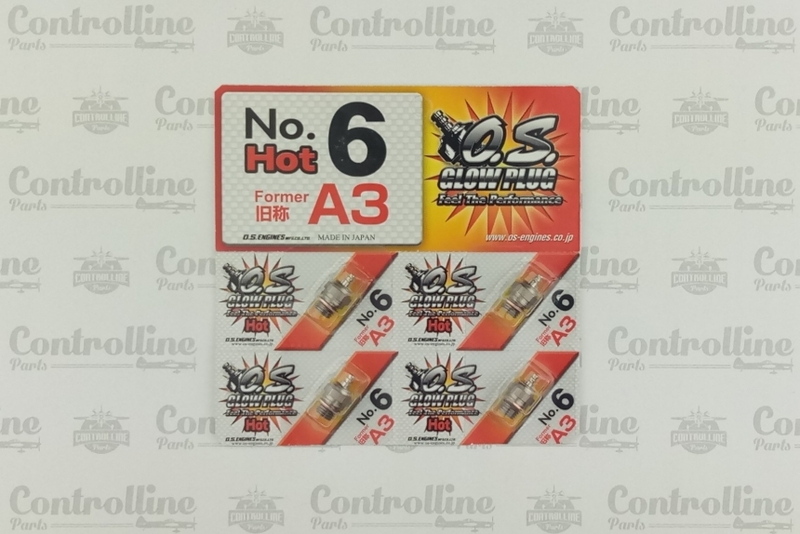 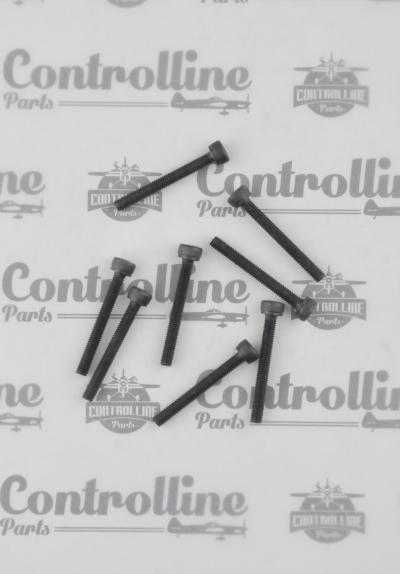 The screws are made of carbon steels - strength classes 8.8, 10.9, 12.9. 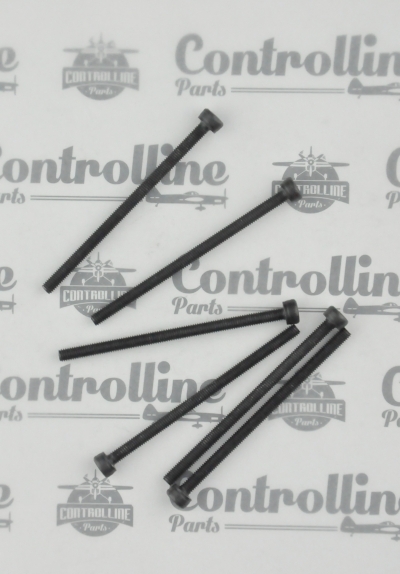 This is a reliable fastener which can be used in constructions carrying huge static or dynamic loads. 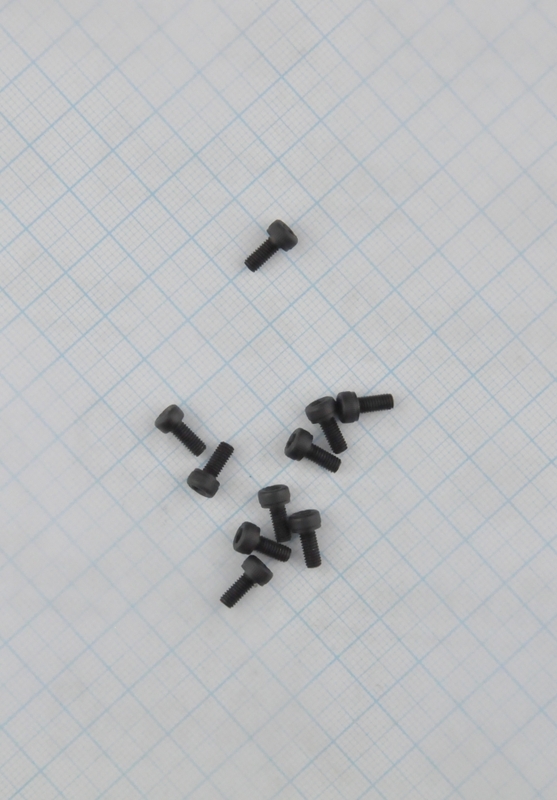 The screws have a Black oxide coating. 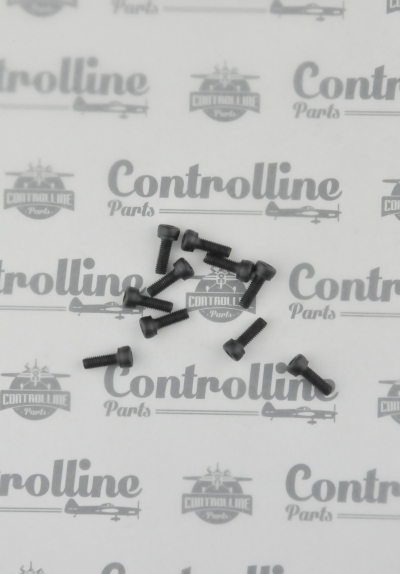 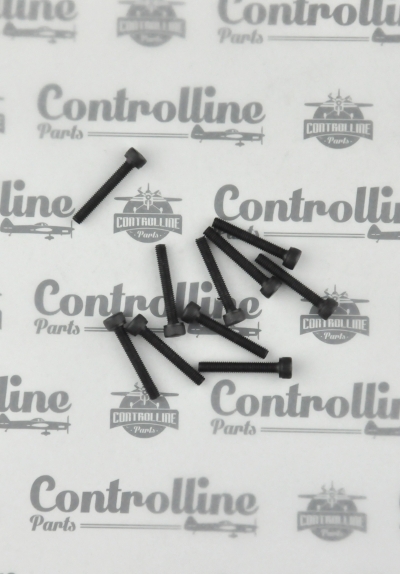 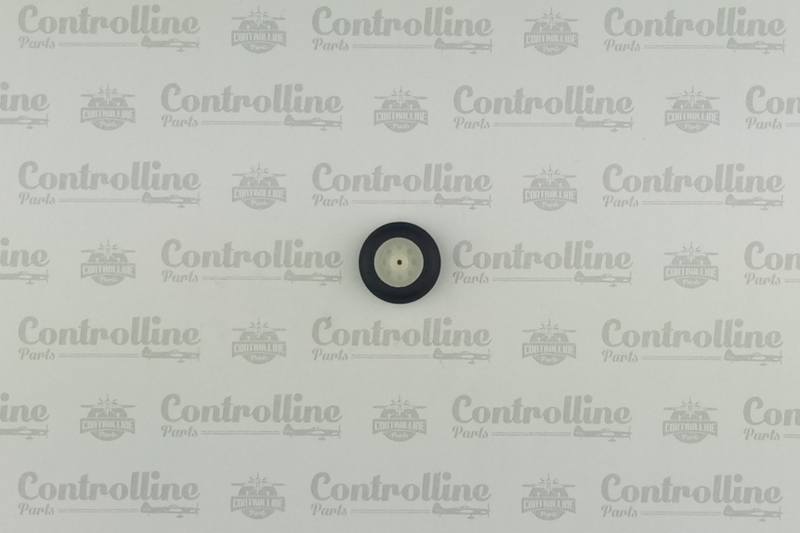 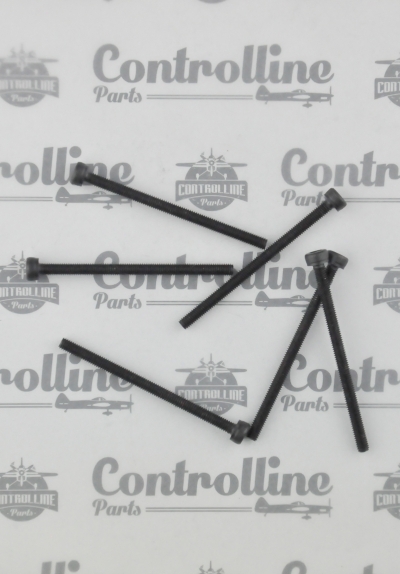 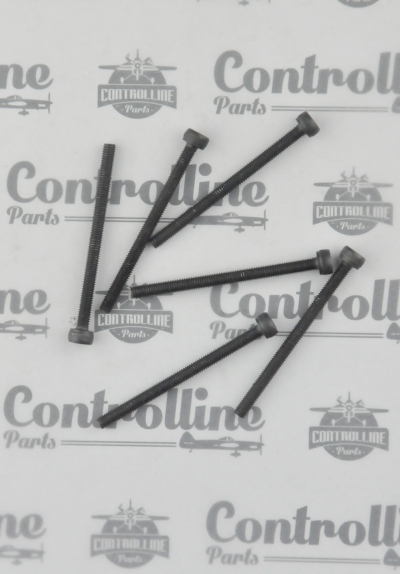 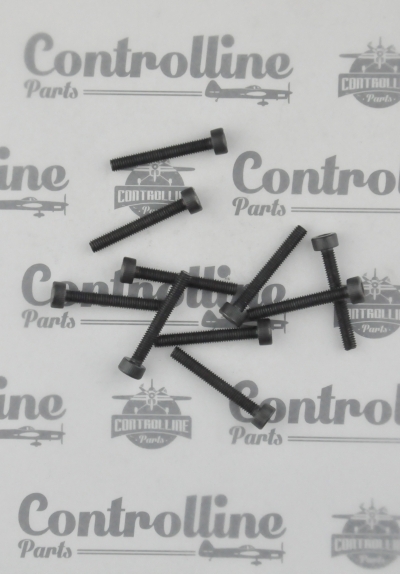 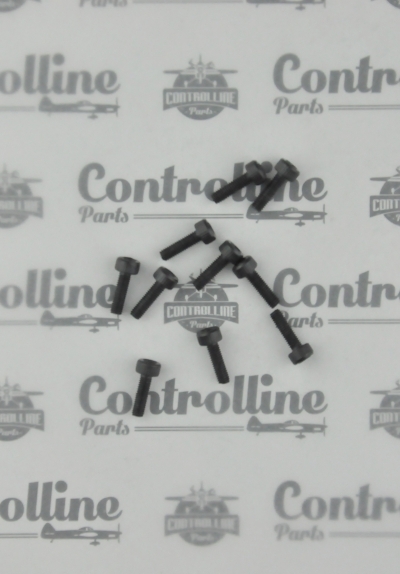 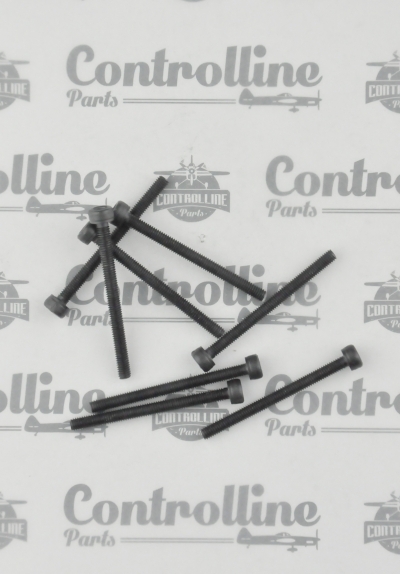 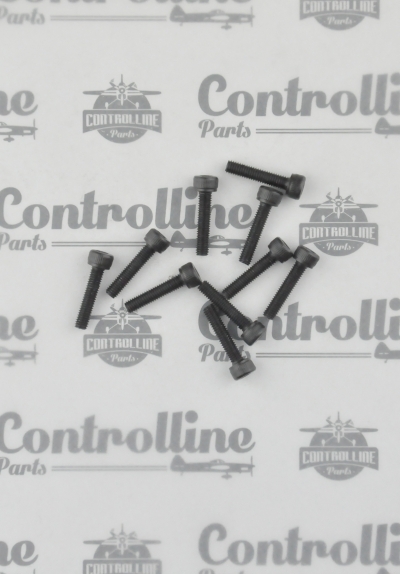 The screws are 6mm, 7mm, 8mm, 9mm, 10mm, 12mm, 14mm, 16mm, 18mm, 20mm, 22mm, 25mm, 28mm, 30mm, 35mm, 40mm, 45mm, 50mm in length. 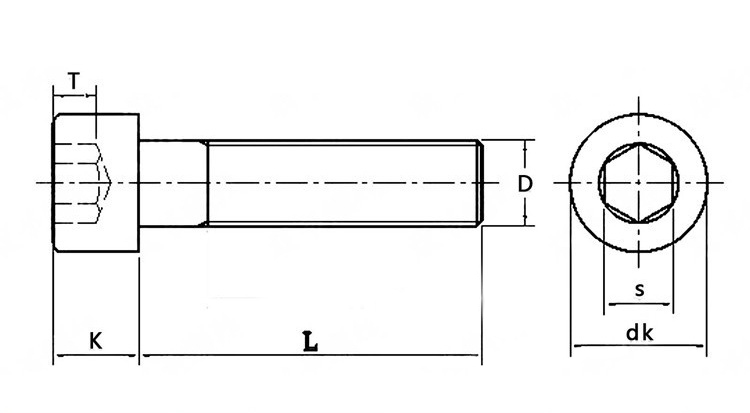 The length of the hexagonal screw is measured from the bottom of the head to the end face of the threaded rod.